Secure within a desolate home as an unnatural threat terrorizes the world, a man has established a tenuous domestic order with his wife and son, but this will soon be put to test when a desperate young family arrives seeking refuge. It Comes at Night is directed by Trey Edward Shults and was released on Jun 9th, 2017. 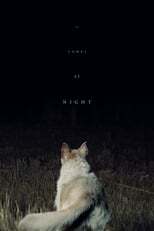 Director Trey Edward Shults's Horror movie It Comes at Night is produced by A24 & Animal Kingdom & was released 2017-06-09.